The efficient prevention and minimization of corrosion-induced deterioration in distillation columns is a key aspect helping refineries to remain highly productive and competitive. One of the world's top integrated energy companies was experiencing corrosion issues on a number of units in its refinery complex in Spain. 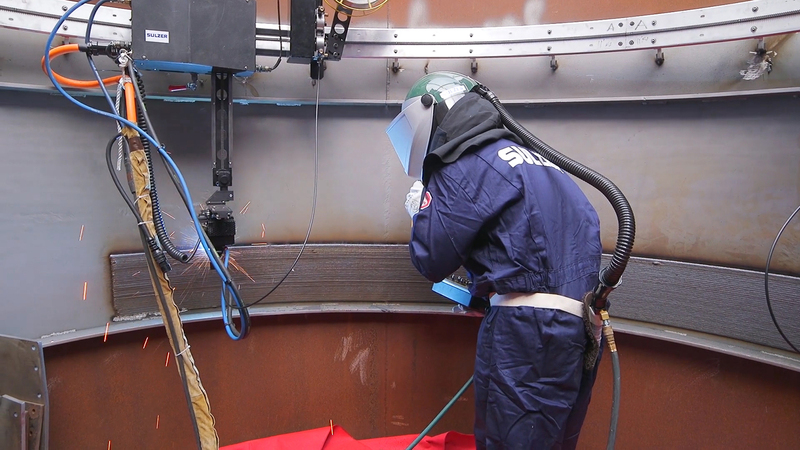 Sulzer’s automated weld overlay capabilities provided an economical and efficient solution to debottleneck the different columns and extend their service lives. 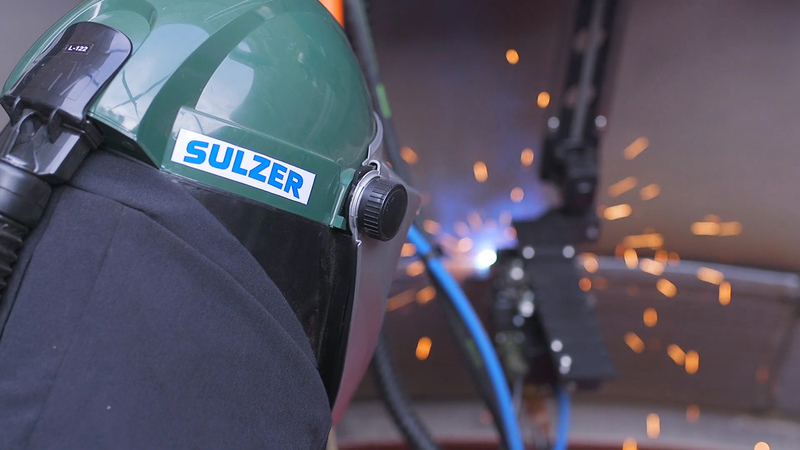 Sulzer’s expert team performed an in-depth visual inspection. To do so, the bonded plate was removed to expose the carbon steel shell. This examination revealed that the extent of column shell corrosion was almost double that of the initial estimate, covering approximately 110 m2. 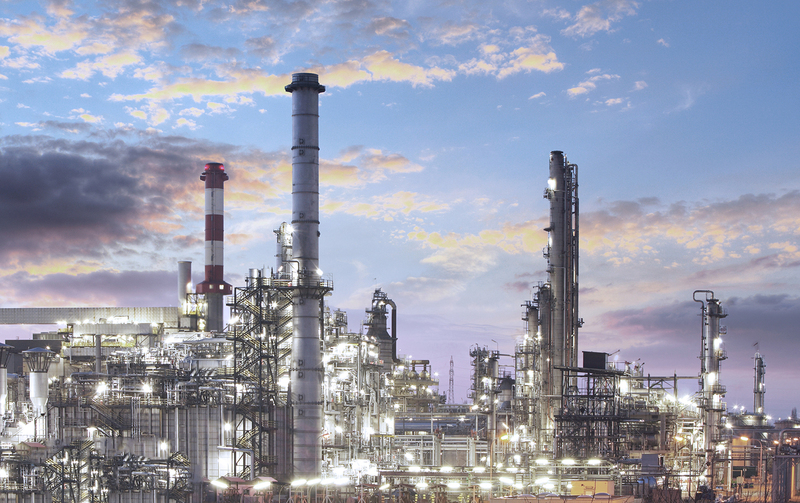 In these situations, refineries are often faced with the choice between replacing the entire column or part of it, which is costly and time consuming, or applying thermal-spray coatings that can prevent column corrosion only for a limited time. Image 1 + 2: Sulzer’s automated welding delivers quality and cost-efficient corrosion protection for distillation columns. Image 3: Refineries are often faced with the choice between replacing the entire column or part of it, which is costly and time consuming, or applying thermal-spray coatings that can prevent column corrosion only for a limited time. The Chemtech division is represented in all important industrial countries and sets standards in the field of mass transfer and static mixing with its advanced and innovative solutions. The product offering ranges from process components to complete separation process plants. The customer support covers engineering services for separation and reaction technology and tower field services to perform tray and packing installation, tower maintenance, welding, and plant turnaround projects. Our customers benefit from a network of over 180 production and service sites around the world. Sulzer has been headquartered in Winterthur, Switzerland, since 1834. In 2018, we achieved sales of CHF 3.4 billion with around 15'500 employees. Our shares are traded on the SIX Swiss Exchange (SIX: SUN).